MUZAFFARABAD: In an air of distrust, officials from both sides of the Line of Control (LoC) decided to resume intra-Kashmir trade from Chakothi-Uri crossing point from Thursday as police used batons here on Tuesday to disperse a demonstration against the detention of a driver in India-held Kashmir over drug trafficking charges. Six protestors were arrested for �rioting and creating law and order problem� but were later released on bail. Civil Secretariat SHO Javed Gohar told Dawn that around 50 protesters, most of them relatives of the driver, Mohammad Shafique, blocked Muzaffarabad-Islamabad road in Ambore area at about 9:30am. Raising slogans for �immediate release and repatriation� of the driver, they blocked flow of vehicular traffic and caused inconvenience to commuters, he said. The police, he said, were compelled to resort to mild baton charge to disperse the protestors and arrest six inciters, including the detained driver�s brother. But they were released in the evening after a magistrate accepted their bail applications. The demonstration in Muzaffarabad coincided with the appearance of the driver before an India-held Kashmir court in connection with his bail application, submitted by some Kashmiri traders. But the application was rejected and his judicial remand was extended until March 4, reports reaching here said. Meanwhile, the trade facilitation officer (TFO) for Chakothi-Uri crossing point held a meeting with his counterpart from India-held Kashmir on the resumption of trade. It has been stalled since Jan 17 because of the drug trafficking row and recently resumed only through Tetrinote-Chakan da Bagh crossing point in Poonch division. The barter trade is conducted four days a week -- from Tuesday to Friday. But while only one truck ferried goods from Azad Jammu and Kashmir to the other side through the Poonch crossing point, the officials decided to resume trade from the Chakothi-Uri crossing point from Thursday, TFO Basharat Iqbal said. However, traders were in no mood to resume trade in an atmosphere of distrust, their representative Ajaz Meer said. Mr Iqbal admitted that most traders were reluctant to transport their consignments across the LOC. Other issues: Apart from trust deficit in the wake of the drug smuggling row, some other issues also cast doubts on the future of the trade, he said. �In today�s meeting, Indians have demanded that 100 per cent of each consignment of not more than eight tons should be unloaded from a truck and manually checked before certification,� he said. Besides, they wanted all trucks to cross the LoC at 9am and return by 4pm even if their consignments remain unloaded, he added. Faced with capacity constraints, at present both sides are manually scanning consignments. 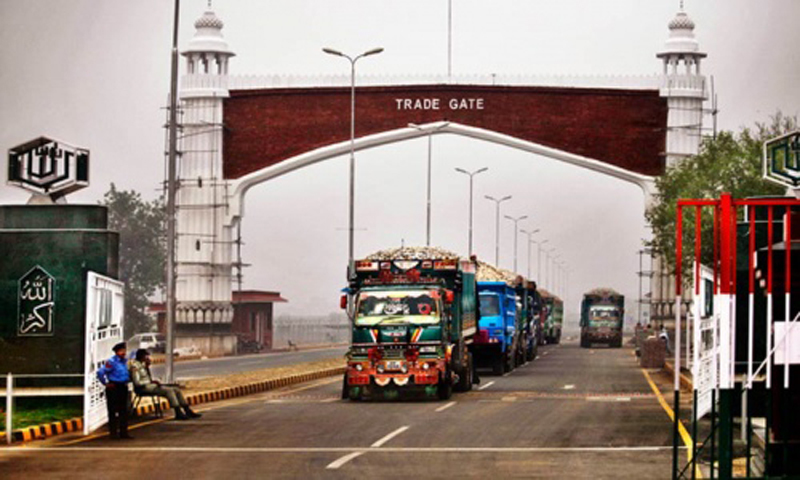 Though the standard operating procedure allows each side to send 50 trucks across the border, complete scanning of entire shipment, according to TFO Iqbal, means clearance of hardly four to five trucks from each side in a day.